While not quite as effective as the movie version, bulletproof suits are a real thing. John Wick and John Wick 2 have become quite popular movies amongst the firearms community after seeing the dedication Keanu Reeves put into training for the movie. While far from perfect, the two John Wick movies definitely got a lot more things right about gunfights than most movies. If you haven’t seen the movie, there’s a scene where John Wick gets into a lengthy gun battle while wearing a bulletproof suit. Even though he was shot many times, the suit stopped the bullets and kept him in the fight. Turns out, bulletproof suits are a real thing! Garrison Bespoke makes a stylish bulletproof suit that certainly doesn’t look bulky like kevlar. While the real bulletproof suit won’t stop rifle rounds and can’t be held out like a shield, it still looks stylish and it still will stop handgun rounds. Unfortunately, no expensive suit can bend the laws of physics, so if someone gets shot while wearing this suit, bruises and broken bones are to be expected – which is no different than any body armor. But hey, a bruise and cracked rib is better than an extra hole through your stomach! The Garrison Bespoke bullet proof suit was made to fulfill three important expectations: First, to be modern and stylish. Second, to be light and comfortable. And, third, to be reliable and safe. After putting the suit to test, we can proudly say that all expectations have been met. The Garrison bullet proof suit is a testament to the level of care we place into building relationships and trust with our clients—we’re eager to respond to each of our clients’ individual needs, whenever and however we can. 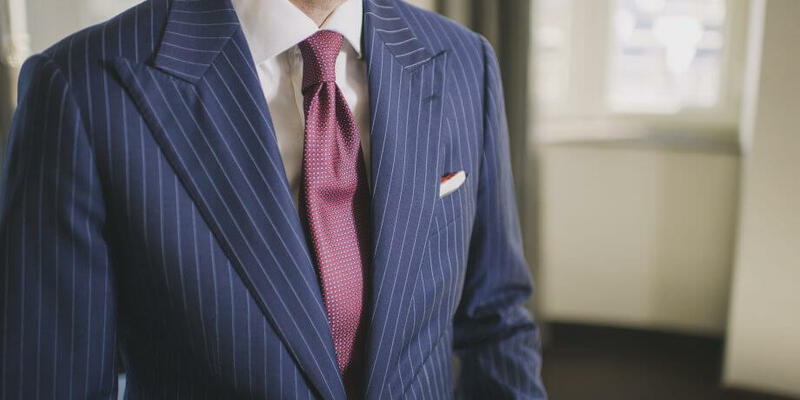 The custom tailored suit costs $20,000 – so don’t put on weight and need a new one!